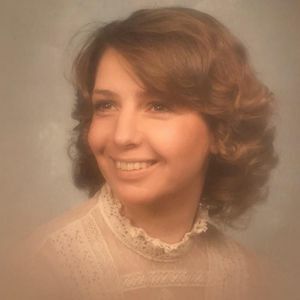 On March 23rd, 2019 Bonnie Ann Hallander passed away peacefully at the age of 68. She was surrounded by family at her home in Indianapolis, IN. Bonnie was born on March 22nd 1951 in Gary, IN to her parents William Leroy and Agnus Virginia McCall. She graduated from William A. Wirt High School in 1969. She married George Hallander in 1970, and moved to Indianapolis in 1980. Together, they raised four children; Amy, Patrick, David and Michael. Bonnie worked at the phone company, JC Penny, and did taxes for H&R block for several years. She religiously bowled with her St. Jude Bowling league for over 30 years. Bonnie had a love for crafts including knitting, crochet, and painting which can be seen around the house. She also enjoyed reading, and could always be found with a mystery book by her favorite author, Dan Brown. When you found Bonnie outside of the house, she could be found at a sporting event for one of her children, over a thirty-year span yelling at an umpire and spouting "loudly" words of encouragement, or tending to her flower gardens. Bonnie is survived by her husband George "Ted" Hallander; her four kids, six grandchildren, and three siblings; Bill, MaryBeth, and Barb. All are welcome to join us in a celebration of life for Bonnie this Thursday, March 28th at 5:00 pm at Wilson St. Pierre Funeral Service and Crematory-Franklin Township Chapel, 5950 E. Thompson Rd., Indianapolis, 46237 with visitation from 3:00 pm until time of service. Add your thoughts, prayers or a condolence to Bonnie's guestbook.